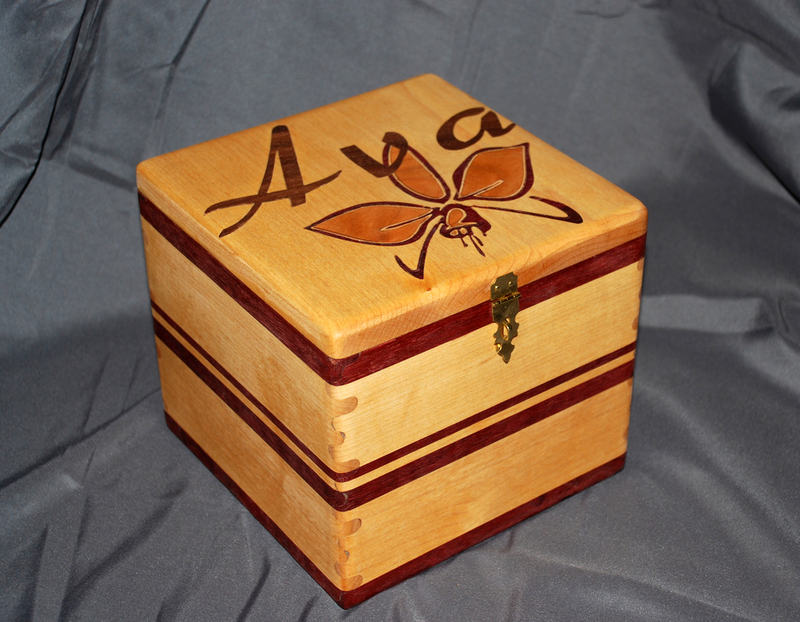 A custom keep sake box for a special little girl's first birthday! The foundation of Distinctive Dimensional Concepts is our small, family operated workshop located in the heart of the Alberta Badlands. Our hobby and creative passion has turned into something more; we strive to provide unique and personalized products to fit our clients' needs. We are not a full time production orientated company; each piece we create is lovingly crafted after we have punched the clock on our day jobs, and then only if our loved ones can spare us for a few hours. That being said, we always work to complete our projects in an efficient and timely manner. Our clients' satisfaction is our foremost priority when we accept a project, and we have a network of talented and experienced craftspeople who we can rely on to ensure each project is completed with that in mind.